I recently launched the bilingual Forum Roma Sostenibile to which I have been dedicating a few precious minutes each day to link to interesting articles, promote valuable initiatives and highlight critical issues, translating quickly back and forth from English to Italian or vice-versa as necessary. I recognize that by now this word “sustainable” is over-used and it’s not without a sense of irony that I apply it to Rome. Rome is not a “normal” city but an extraordinary (straordinaria) one. In seeking to make it more “sustainable” I like to think we are making it more like itself and less like normal, standard, global cities. We don’t want Rome to be Tokyo or Vancouver or even Paris. Sustainability means providing the needs of the present without compromising the ability of future generations to provide for their needs, and Rome has been doing that pretty well for dozens of centuries—thus the “still” in this blog’s title. A sustainable Rome doesn’t need to be less passionate, less chaotic, less magical, less comically astounding, less Roman. There are centuries of accumulated experiences, materials, traces, memories and more to be shared and only a fool would try to clean that up and replace it with a sanitized “green city.” A sustainable Rome would be filled with sounds, smells, tastes, chance encounters, vistas, poetry and contrasts. Minus certain blight that we have come to associate with the city: motor-vehicles, globalized advertising, disorganized waste, privatized common space and resources, and a handful of other common injustices. Fighting these doesn’t necessarily mean fighting Rome any more than curing a disease necessarily means killing the patient. It’s not an easy task to get Rome back on course, but neither is it “idealism” as I so often hear. Italians adapt pretty well to change when it has clear advantages (the internet is pretty much ubiquitous now but I remember in the late nineties working for an internet company and hearing that Italians would never get on board!). This weekend we will see the streets of Rome filled with bicycles, as it has more and more of late, and those willing to make the switch will realize that cycling is another win-win for Rome. The same can be said of a return to more frugal lifestyles which consume less energy, water and other resources and produce less trash. We’re talking about improving the quality of life for everyone, launching sustainable economic growth, and if you want to wave the sustainability flag as well, yes, ensuring that future generations can also provide for their needs. What’s not to like? 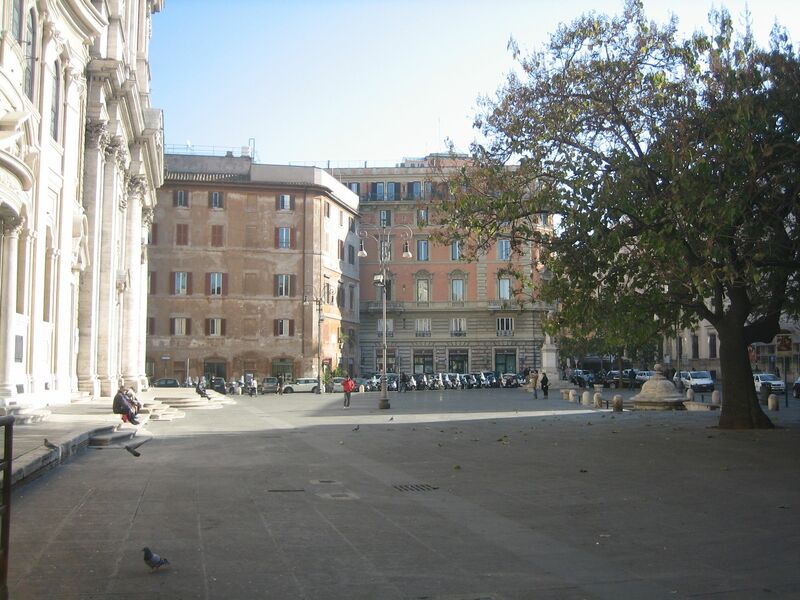 Love this blog post Tom, thanks for clarifying- I would hate for Rome to lose its charm, but would love to be safer pedaling around town and see things work in a cleaner and more efficent way. Hope to see you this weekend at the Critical Mass- I’m really looking forward to it!